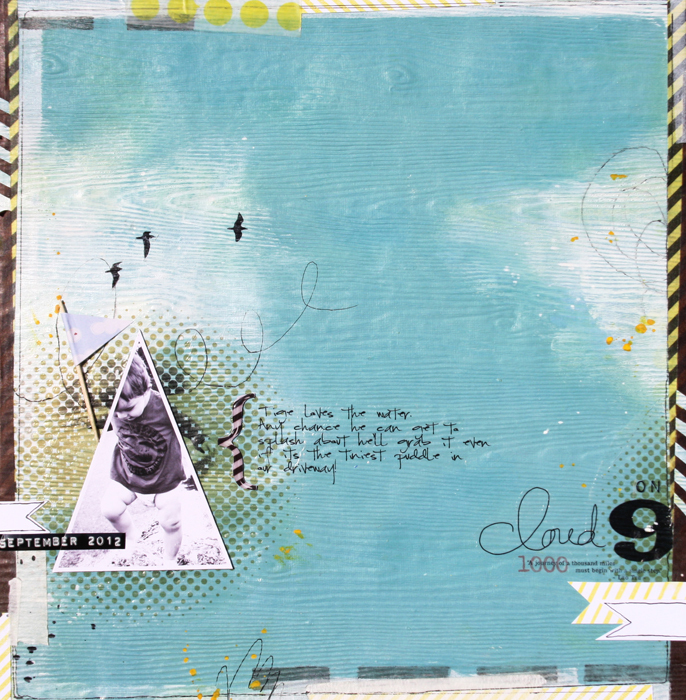 This little hybrid project can finally be shared it was done for Scrapbook Creations Issue #98. Its an article about photo manipulation and a quick look at creating a hybrid project using digital scrapbook products. 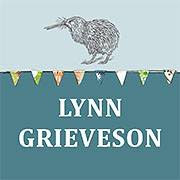 I love this project it was one of the first pages I did that sparked a change in my scrappy style, so is a bit of a flag ship page he he and excitedly it got a GSO today so am doing a happy dance. Then I thought why not share some of my techniques I use in my scrapbook process, so here is a quick tutorial looking at a couple I use often. To make this project you will need some Intermediate Photoshop knowledge. Open a new blank file setting the resolution to 300 for optimum printing / RGB Colour Mode/transparent file (NB: For the purposes of this article I have made my background white). 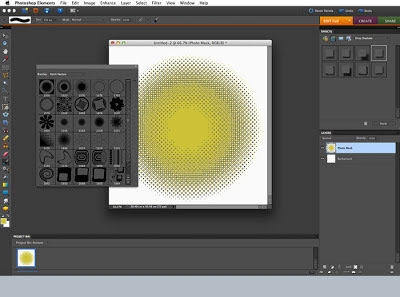 From the brush palette select a fun shaped brush like a halftone dot. This design works well because the central area is a solid colour. Then select the colour you want to use and stamp the brush onto your blank file. This forms the basis of our digital mask. Open your photo file. 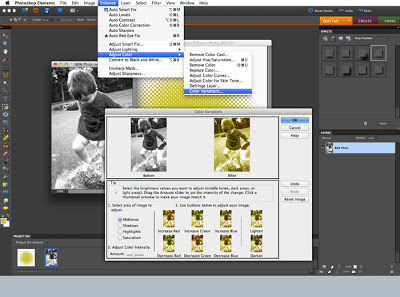 If your using a colour photo convert it to B&W then click enhance /adjust colour/colour variations. This will open a dialogue box, which has a series of different values that we can tweak to alter the photo’s colour so it resembles the same colour of the brush we stamped in step 1. Drop your coloured photo onto the mask and position so it is centred. Highlight the photo in the layers palette, whilst pressing the shift key hover your curser between the two layers and press click. This will engage both layers and form a clipping mask. 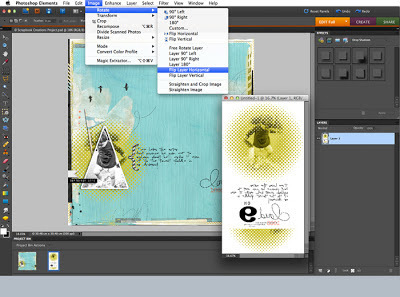 You will notice in the layers palette that the top layer has shifted to the right and an arrow appears pointing to the layer below. To remove the defined rectangular edge of the photo select from the erasure tool palette a soft edge basic brush. 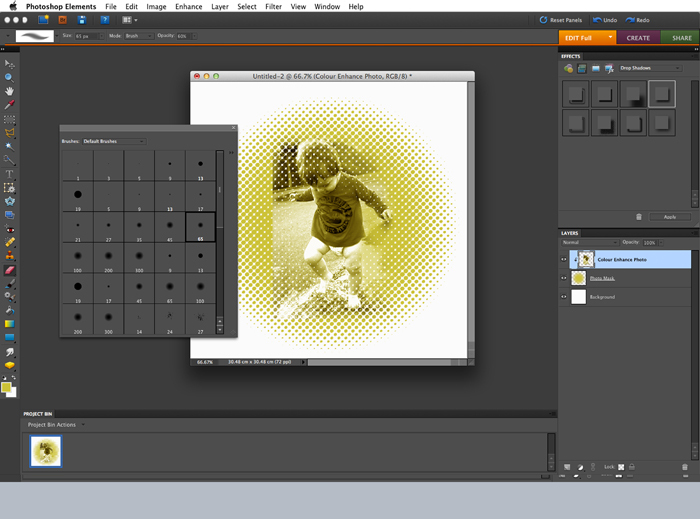 Then carefully delete areas of the photo so as to soften the defined edges until your happy with how it looks. your digital and hybrid project. When I designed my digital page incorporating the halftone photo we created in Part 1 I set my dimensions at 3600 x 3600 pixels with a resolution of 300 pixels per inch. 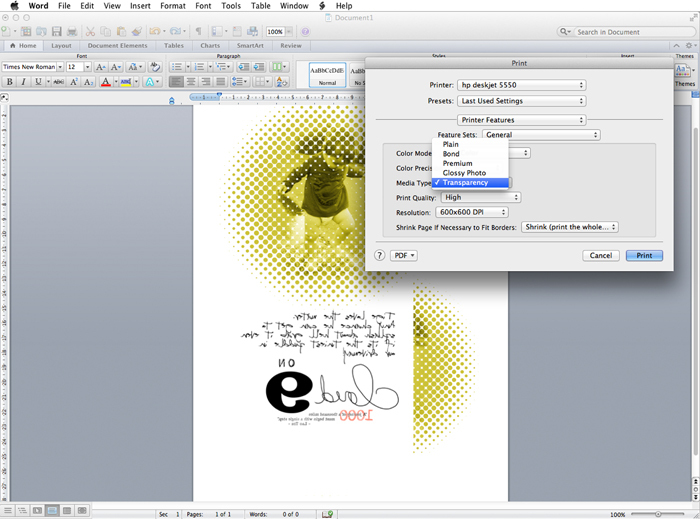 This way when we print our file it will transcribe into the same size format of a traditional page. I also cropped my original b&w photo using a triangular cookie cutter in PS for some extra visual impact. There are plenty of shapes to choose from so try some out and see which one works best for you. 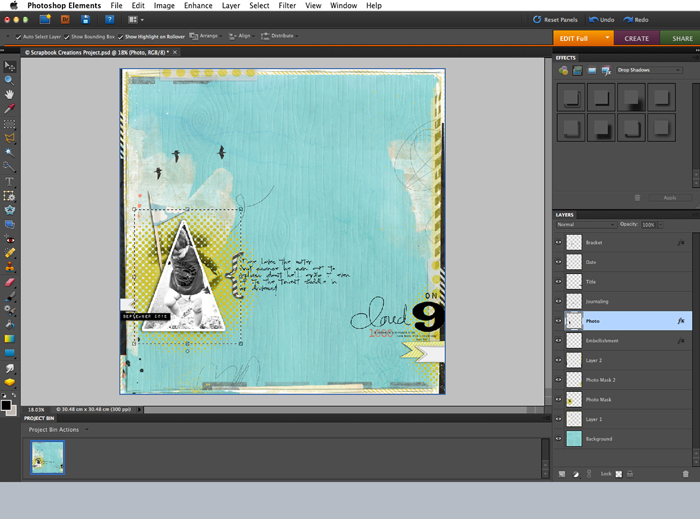 Now that I am happy with my digital design I am going to keep the editable PSD file open so I can begin the cut & paste steps to create the printable word document. 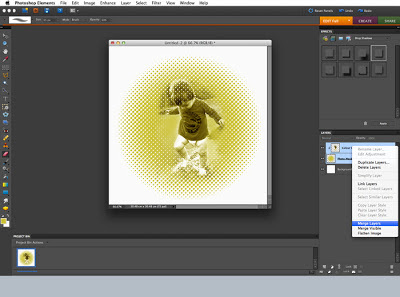 Isolate all the elements you want to print as a rub on, including the halftone dot photo mask we made in Part 1. Merge those layers together and then select cut. Open a new file and paste them into it. before printing. Once completed save as a .jpeg file onto your desktop. 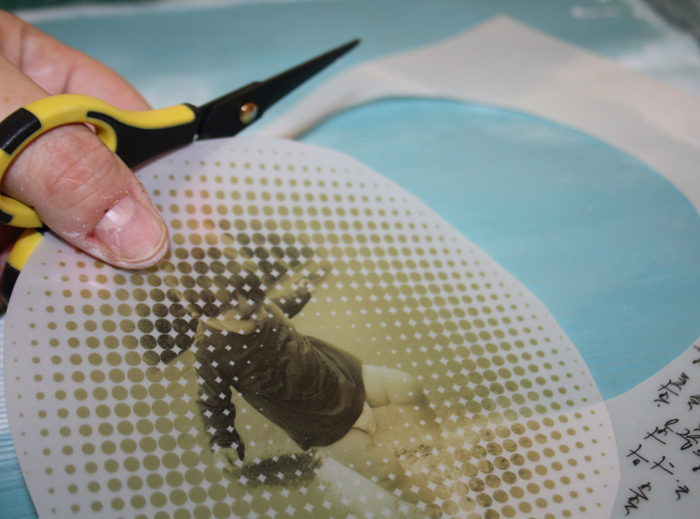 After the ink has dried on the transfer film we can adhere the clear sticky film over the printed side of the transfer film. 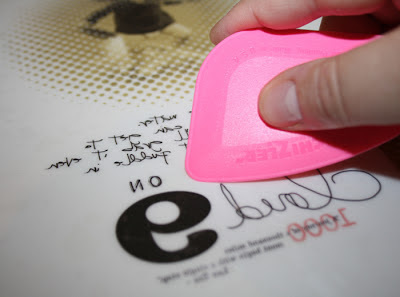 Instructions are included in your Grafix Rub-Onz pack. Using a chizler or paper creaser carefully smear any bubbles out making sure to not puncture or tear the surface. 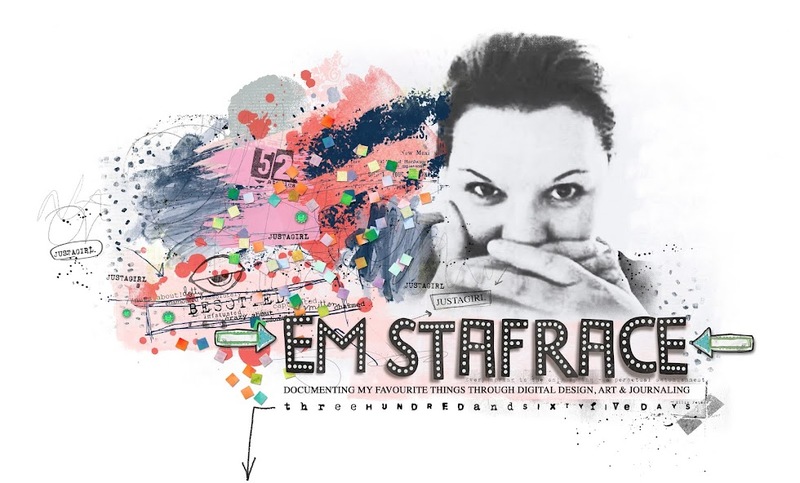 Cut around your design as close to the edge as possible. Then peel the shiny adhesive backing off from the underside of the custom rub-on. 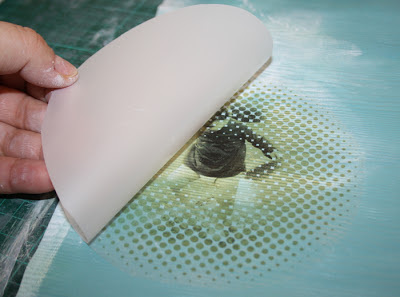 Carefully lay that onto your base paper and rub gently until the opaque film turns a whiter shade. Now peel that layer off revealing the rub-on below. So there you have it, a really fun way to showcase all of your favourite photos. Creating the mask allowed us to use the original photo in a different way. Then by cropping the b&w photo into a different shape and overlaying it on the masked version created a visual impact that far surpasses any standard photo format. I hope this inspires you to look at your snapshots differently and hopefully try this technique out yourself! Fabulous! Looks so cool! Love this lo! 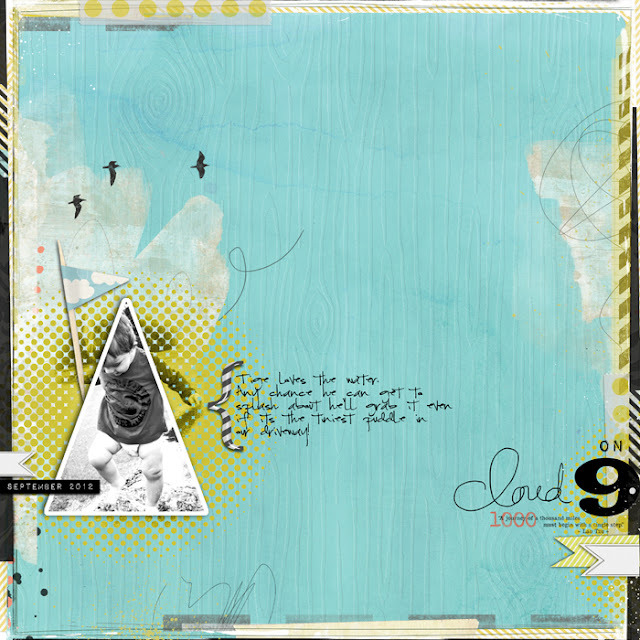 gorgeous layout - thanks for sharing this tutorial (one more thing I need to try out some day :)..)! !